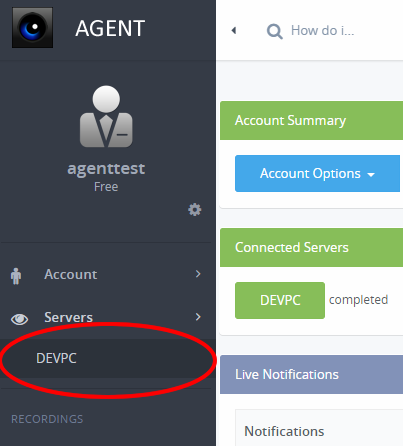 Agent DVR is a standalone replacement for iSpy that runs as a service, uses less CPU and features a web user interface that is accessible from anywhere with no port forwarding required! We recommend that you use either iSpy or Agent - you can use both but it may cause issues with device drivers and network access. Download Agent DVR from here and run the installer. You can choose to run Agent as a windows service or as a console application. If you have problems connecting Agent then run Agent.exe in windows and it will start as a console application and should tell you how to connect to it. If it says it is already running as a service then stop the service by clicking start - run and enter "services.msc". 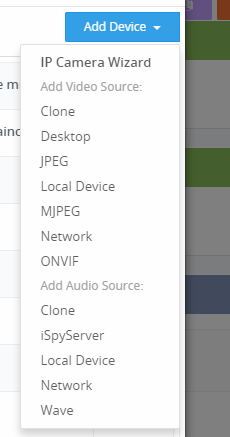 Find Agent in the list, right click it and click stop. To uninstall Agent just delete the Agent directory (Agent is a portable application so doesn't install into the add/remove programs list in Windows). Agent has an inbuilt help system. Just ask a question and Agent will tell you how to do it. Tip: Enter a keyword here to see available options, for example "cloud" or "youtube" (without the quotes).